My social planner, Tanis, loves what she loves. If she loves it, she collects it. I think that is a great strategy personally. 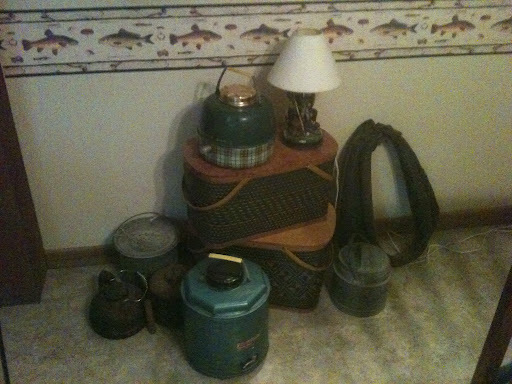 She loves anything vintage to do with camping or fishing. I think it is her memories as a child camping with her family and then taking her own kids camping later, but whatever the reason, these things make her happy. 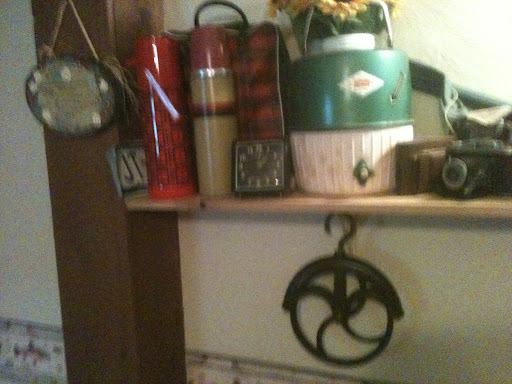 She has picnic baskets, water cans, old thermos sets, and a variety of other items. She has found a way to make those things look right at home in her lake house. They added a long shelf the length of their downstairs room. 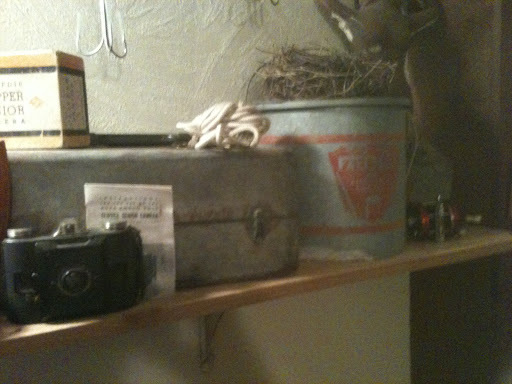 Over the eight years that they have had the house, she has added things she bought and found ( notice the bird nest found a few weeks ago). The result is great. Over time the collection has spread to the floor under the shelf but it fits right in.